Home buyers have faced challenges over the last year because of rising mortgage rates, but those rates have dipped in the last month -- at least for buyers with the best credit. According to the latest monthly report from LendingTree, buyers with the best credit profiles were offered 30-year fixed-rate mortgage rates that averaged 4.19 percent, down from 4.35 percent in December. The difference of 16 basis points on a $200,000 mortgage lowers the monthly payment by $18.75. There was a bigger drop for consumers refinancing their mortgage. The average offer to refinance an existing loan fell from 4.34 percent to 4.14 percent. LendingTree is a mortgage marketplace. It allows homebuyers to enter their information, and then participating mortgage lenders try to offer the most competitive terms. 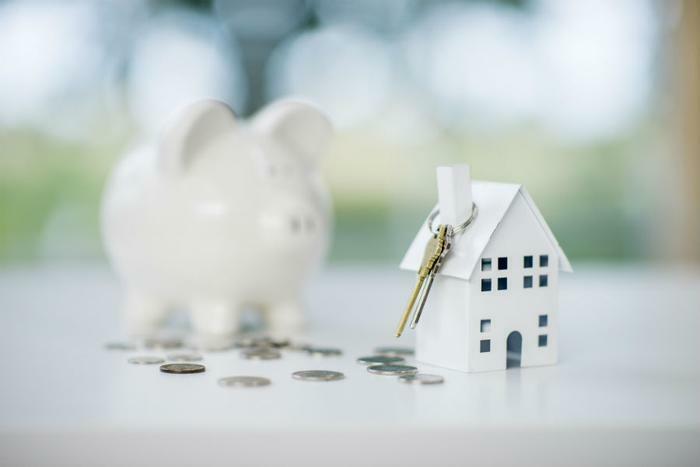 The company says while credit scores are a major factor in getting a low interest rate, other factors are also considered, such as the type of property, the borrower’s income, and the loan-to-value ratio. The average borrower also saw mortgage rates decline from December to January, but the average rate was higher than for those with the best credit profiles. The average mortgage rate for all borrowers was 4.98 percent, 19 basis points lower than in December. Mortgage rates have risen over the past 12 months, but home buyers caught a break in January when the rate on the 10-year Treasury bond -- a key benchmark for mortgages -- dropped from 3.18 percent in December to 2.5 percent. Credit scores made a big difference in the interest a home buyer paid in January. Buyers with a credit score of 760, which is considered “excellent,” secured a mortgage rate of 4.79 percent. Those with a score of 639 paid an average rate of 5.75 percent. That’s a difference of $119 a month on a $200,000 mortgage, underscoring one of the major benefits of improving your credit score. Realtors are hopeful that a softening of mortgage rates could help housing recover from a lackluster 2018. Home prices continued to rise in most markets, but the pace of home sales declined. Lawrence Yun, chief economist for the National Association of Realtors (NAR), said 2018 ended on a promising note, all things considered . “Home prices continued to rise in the vast majority of markets but with inventory steadily increasing, home prices are, on average, rising at a slower and healthier pace,” Yun said. Total existing-home sales, including single-family homes and condos, fell 1.8 percent to a seasonally adjusted annual rate of 5.180 million in the fourth quarter of last year, down from 5.273 million in the third quarter. That number is significantly lower than the sales pace during the fourth quarter of 2017.